by Simon Taylor, ALSA QLD. We arrived at about 9 am having selected Dean turbo Bevan as our celebrity surfer who had a striking resemblance to the famous Mark Occhilupo. This was a good early sign for the team which was made up of Josh Bull - a quiet but very competent Northern New South Wales surfer who was able to compete thanks to his girlfriend's soon to be baby patiently waiting for the Sunday due date instead of making an early appearance. We also had Julian who was a young Ripper working for Shaun Rose, Surfing Queensland member and rounding out the five was Harry Hind who I understand comes from a family of good surfers. The boys had a shaky start in Round 1 in an onshore 2 foot with 3 foot sets however Round 1 performances were not a good reflection of the team talent pool. The surfing lawyers made it to the semi finals and decided to step it up a notch with each of the Surfers completing waves well and in good time to claim 3 bonus points. The team made the final by the slimmest of margins 0.07 but it didn't matter as anything can happen in the final. The final had some big names including Ricardo Christie and Dean Morrison and Dylan Longbottom who was not showing his age with silky turns on each wave. 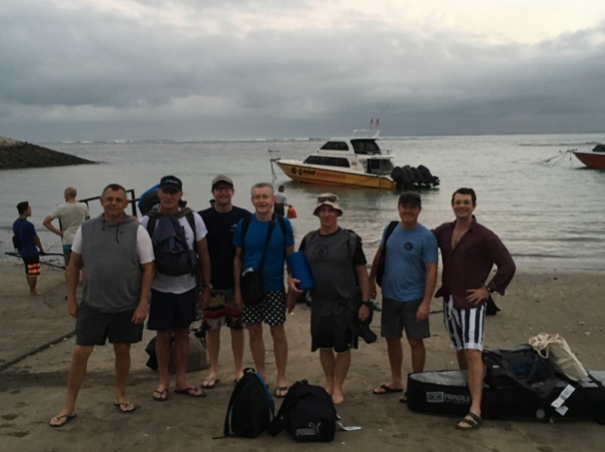 Despite team balter having sampled numerous items of the product line and given their team comprised of professional surfers the ALSA team performed well above their no name status and achieved a very credible third place. It was a very good showing and given this was the inaugural event for SurfAid at Duranbah in Queensland the ALSA team are really fired up for next year's event to try and improve their position again and raise much more money for the worthy cause that is SurfAid. Thanks to all of the contributors and supporters of ALSA and whether you contribute your time or your hard earned money every bit counts and if you like surfing in Indonesia SurfAid deserves your support to give back to the Indonesian and especially Mentawai communities where we all love to visit and surf the great waves they have to offer. A small group of predominantly Queensland based participants booked out the entire Botik Resort for the ALSA Mentawai Conference 2017. Like with any trip to a tropical paradise, we worked hard at the conference however obviously, no one wants to hear about that so I will stick to the surfing. It was early in the season with only the occasional charter boat spotted. We were fortunate that the swell was 6 to 10ft on the first day which tapered to 2 to 4ft by day 8. Our first day at the Resort saw the biggest swell of the trip. While I paddled for my life on my longboard to avoid taking the double over head oceanic sets at Bank Vaults on the head, action man Richard perfected his late take offs into some of the best waves of the trip. Meanwhile all the goofys had headed to Hideaways to meet the shallow reef and enjoy the mechanical barrels. There was an amazing variety of the waves had by all. 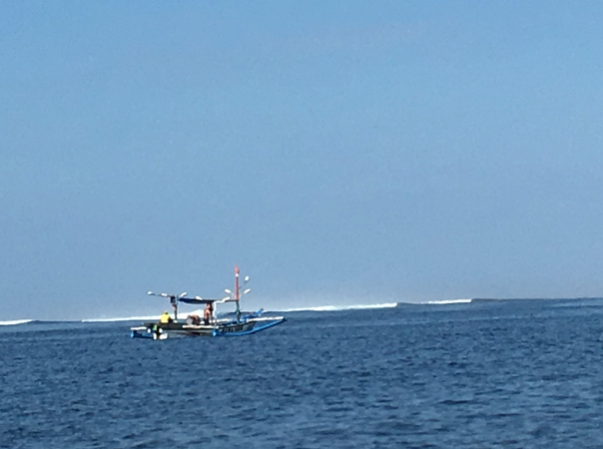 Thanks to having 2 boats between 10 of us, it was easy to split the group and for the most part everyone got to surf exactly the wave they wanted. Indeed when everyone else was surfed out on the very last day, I took the boat out by myself on sunset for a last hurrah. Many waves had by all everyday. Steve (QCAT member and most senior attendee) busted his longboard on day 1 and also on day 1 I busted a leggie and swam for my life all the while wondering when drowning starts to take over in challenging surf. I didn't learn my lesson as I busted another leggie a few days later and Rosie very kindly saved/retrieved my board from snake island. Peter: So Rosie, this will be short and painless. Are you ready? P: Let me start with a few easy questions for you. Favourite Album of all time? R: Gotta be “Californication”, RHCP. Awesome. P: And favourite all time surfer? R: I can only think of my fellow competitors and I can not give them that title however otherwise, Steph. R: Another State of Mind and of course Endless Summer, one and two! P: What about your favourite break? R: Noosa (First Point and Teatree), Yallingup and Cactus. P: And your favourite long boarder? R: C.J Nelson. That guy is incredible. P: So lets get a bit of a bio; where were you born? R: I was born in Cooroy, near Noosa in 1988. P: And when did you take up long boarding? R: Dad had me on the front of his board before I could walk. Then I stole one of his boards for myself when I was about 9. I am the longest running active member of the Noosa Malibu Club as I have almost racked up 20 years. P: Now tell me a bit about your rise to competition fame? R: I’d hardly call it fame! I started with the Noosa Festival of Surfing when I was about 13 and I won that contest as a junior when I was about 15. During my teens and early twenties I competed in so many contests throughout Australia such as the Crescent Head Classic. When I was about 16 I stated started competing at states and Aussies. In 2005 I managed to win both an Aussie title and the Australiasian Professional Tour. That was a great year! P: So when did you start the pro tour? R: I completed in my first professional contest when I was 16 and qualified for my first Women's Professional World Longboard Championships at 18. I have completed in most of the World Longboard Championships since then. My best finish was equal 13th in 2007! During my time competing at the Women's Professional World Longboard Championships the contests have been held in France and China. I have also competed in many other pro contests in places such as California, Taiwan and New Zealand. R: Yeah I competed in a WQS comp once, years ago and came, well let’s just say not quite last! P: Are you still competing on the longboard circuit? R: Technically I am still on tour. I currently have a world ranking of equal 17th but I now consider myself “semi retired”. I am no longer sponsored and probably will not back unless World's moves somewhere new and fun (and they don't stop cutting the numbers to make it impossible). P: Rosie, an absolute pleasure interviewing you. Thanks for your time. Now get back to the conference!